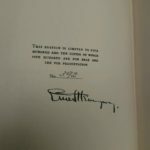 The Friends of the Library Montgomery County has just sold a rare, autographed, limited first edition of Ernest Hemingway’s “Farewell to Arms,” for $6,000. It’s the highest selling volume ever sold by FOLMC, according to Lance Salins, FOLMC business coordinator. 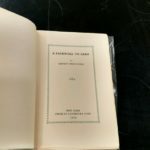 The private buyer lives in Oregon and wishes to remain anonymous, Salins said, noting that an antiquarian book seller helped with the sale. The book that dates back to 1929 is considered a collector’s item, not a reading copy, Salins said. It was listed online for several months before it sold last week. 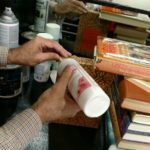 According to Salins, the valuable book was discovered among other “unremarkable” books inside a Bailey Irish Creme liquor box that was donated to the FOLMC in November of 2015. The box was left on the loading ramp outside the Rockville store and Salins said he is not sure who donated it or if the donor even got a receipt. Salins was one of the staffers who initially identified the book, and he has held onto the box it was found in to this day. 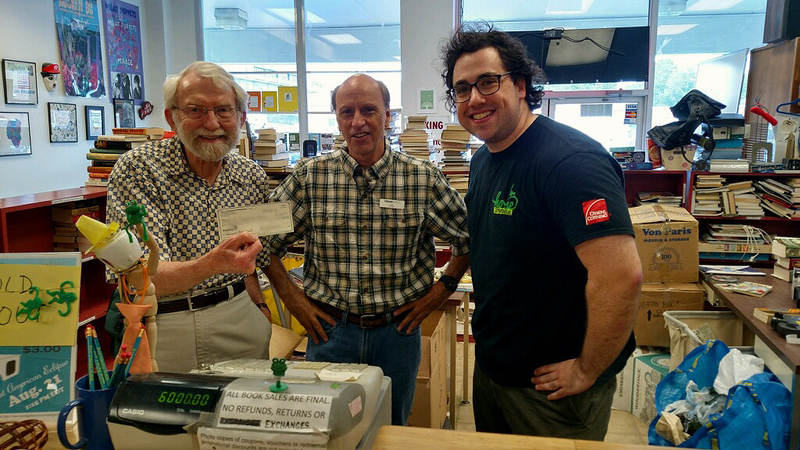 It’s not unusual for valuable books to end up at FOLMC stores. “We train our staff to evaluate and recognize the value of books,” he said. 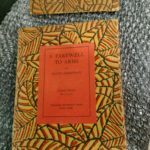 The “Farewell to Arms” edition was limited to 510 copies in 1929, and this copy was number 392. 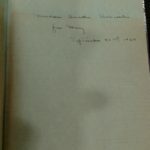 The book was inscribed from a wife to her husband, Salins said, noting the married couple lived in Wisconsin. He is not sure how the book ended up in Montgomery County, Maryland. Was it difficult to say farewell to the book? Looking for rare books is similar to a treasure hunt, Salins explained, because the FOLMC receives so many donations. Find out more about the Friends of the Library Montgomery County, here.